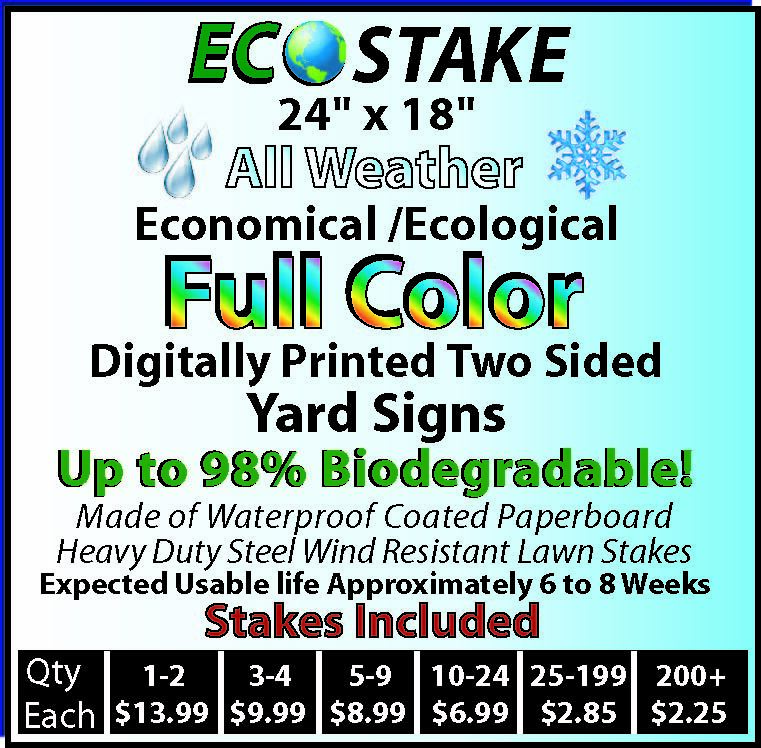 Ecological / Economical Full Color Digital 2 Sided Yard Signs Up to 98% Biodegradable! Made Of Waterproof Coated Paperboard..
Ecological / Economical Full Color Digital 2 Sided Yard Signs Up to 98% Biodegradable! Made Of Waterproof Coated Paperboard.